Who came up with SWOT? Like coffee and taking naps, it’s one of the best ideas we humans have cooked up. The person who came up with the Strengths, Weaknesses, Opportunities, and Threats (SWOT) analysis is unknown, but some believe its initial idea came from management consultant Albert Humphrey while he was working with the Stanford Research Institute, since he spoke about it at length at a convention at Stanford University in the 1960’s although it’s exact origin is unclear. His speech did address the topic of organizational health in remarkable detail, and his usable ideas haven’t changed all that much since then. It’s simple and effective and somewhat timeless as it has been adapted to countless organizations since Humphrey’s day. We use our own version of it here at Larek Point Consulting. The acronym stands for four important parts of an analysis that a company can perform on both an internal and external level to ensure the success of its teams. Strengths make you take a look inside at what the organization and its teams do well, Weaknesses- not so well, Opportunities and Threats describe the environment outside the group in terms of areas to push forward in and potential pitfalls to watch out for. A SWOT analysis is important because it forces a company to look at uncomfortable details that are usually ignored. Each of the strengths, weaknesses, opportunities, and threats become glaringly obvious, and this can be a bit painful to see at first. However, once they are finally brought out into the open, a move towards better communication can begin, and company leaders will have a beachhead from which to attack the problems that need to be addressed. 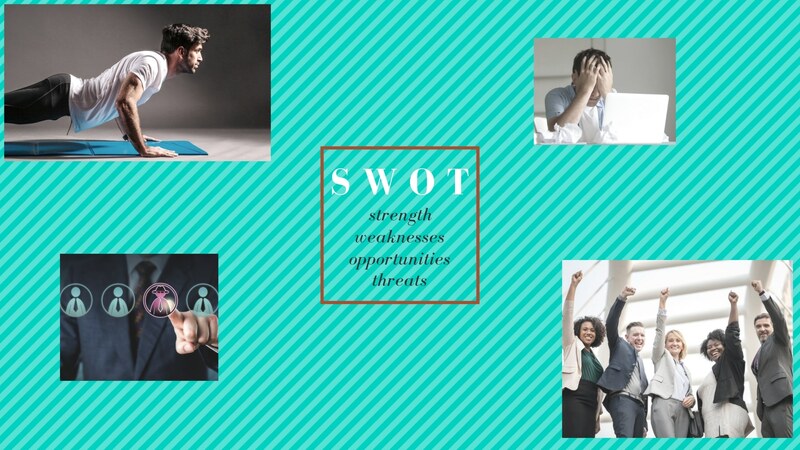 What Can You Do With a SWOT Analysis? Learning how to do a SWOT analysis is usually pretty straightforward. For strengths, look at the wins a team or company has had in the recent past. What has been profitable for the company, or made everyone feel successful? Then, list out the weaknesses that the members of the team have as a whole and how they combine in a group. In small teams, it might be helpful to do this on an individual basis. Opportunities refer to initiatives that are waiting to be addressed but possibly prevented from progressing because of weaknesses. And finally, the threats are the potential outside influences that could cause friction or damage to the ability of the team to work together to accomplish its goals. How Can You Get an Entire Team Involved? For a SWOT analysis to work, everyone needs BUY-IN to be fully engaged in the process. The reason for this is that after it is completed, a plan of action has to be created, which offers measurable goals that can help improve each of the sections that have been addressed. Without full cooperation, the group will be held back and unable to face opportunities and threats that will grow the business.